In an effort to reconstruct the "village" that once helped raise the children of the African American community, this inspiring call to arms examines several issues facing black families of today, including divorce, parenting, fatherlessness, teen pregnancy, and dating. Driven by the 66 percent divorce rate and endemic lack of fathers in African American homes, Kunjufu draws upon the resources of grandparents, aunts, uncles, other relatives, mentors, ministers, deacons, teachers, and community advocates to rebuild a safe and nurturing community in which African American children can thrive. 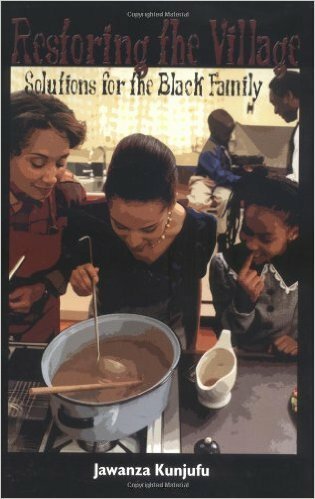 Also provided are sound parenting strategies, techniques for building an extended family, and ways to dispel the cultural myths that shake the foundation of the black home. This book is an equally valuable resource for people of other racial backgrounds working with black families, such as social workers, teachers, psychologists, and community leaders.